Just around the corner from our apartment, there is a coffee shop that sells some really amazing doughnuts. I’m not necessarily a raving fan of doughnuts, but these things are ridiculously good. Somehow I manage not to go out and get one on a daily basis. Be impressed. Perhaps even more dangerous than the proximity of those doughnuts, though, is the discovery of this recipe for doughnut muffins. It’s more than a bit frightening to know that I can have these beauties whipped up so quickly. And without even leaving home! These delightful muffins are truly reminiscent in flavor of doughnuts, although the texture is more toward the muffin end of the spectrum. 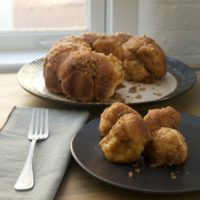 That sprinkling of cinnamon-sugar on top really adds to the flavor and the texture, and will make you think of eating a cinnamon-sugar doughnut. But what really makes these extra special is that bit of jam inside them. 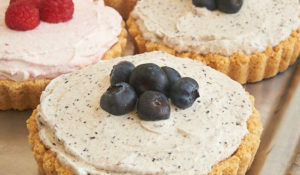 These may look mostly unassuming from the outside, but then you take that first bite to find a little fruity surprise! And you’ll understand just how dangerous these can be! I pretty much always have a good variety of jams and preserves in my refrigerator. For this batch, I made half with raspberry and the other half with mixed berry. That’s part of the fun of these muffins. 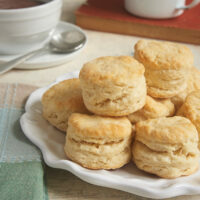 You can change them up easily by using a different flavor of jam. 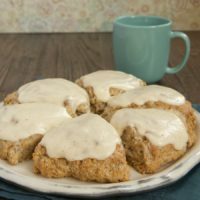 Such a perfect treat for a special breakfast or just an afternoon snack! These muffins feature the flavors of a cinnamon-sugar doughnut with a little fruity surprise inside! Preheat oven to 350°F. Grease 10 cavities of a standard muffin pan. Stir together the flour, sugar, baking powder, and salt. Make a well in the center of the mixture. In a separate bowl, mix the milk, oil, egg, and vanilla. Add to the flour mixture, and stir just until combined. 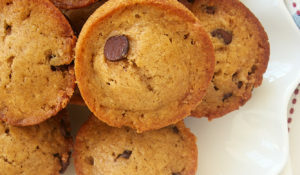 Fill each muffin cup about 2/3 full with batter, leaving about 3 tablespoons of batter in the bowl. 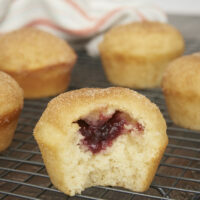 Place about 1/2 teaspoon of jam in the center of each filled muffin cup. Top with just enough of the reserved batter to cover the jam. Bake for 18 to 20 minutes, or until the edges are browned and the muffins are set. Set aside to cool slightly. 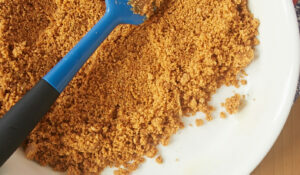 Combine the sugar and cinnamon in a shallow bowl. Brush the melted butter over the tops of each muffin. 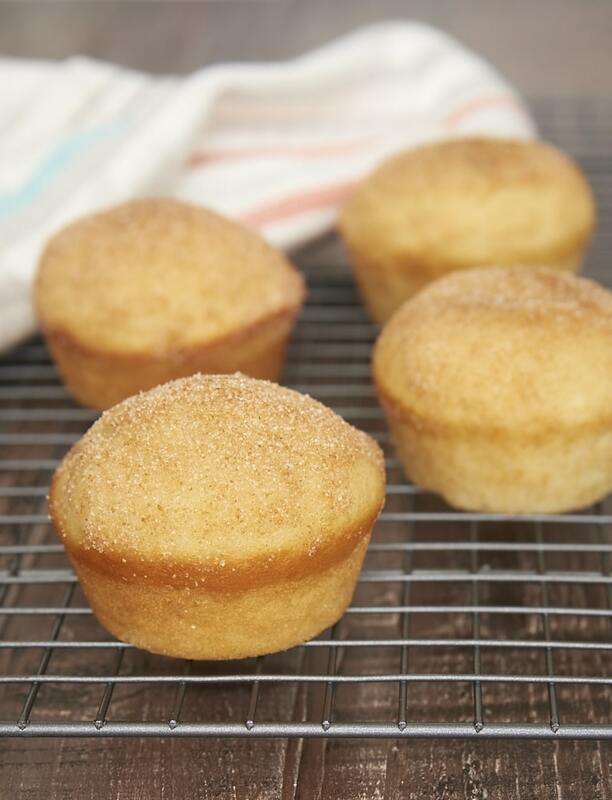 Dip each muffin, top-side down, into the cinnamon-sugar to coat. If you prefer, you can brush butter completely over the muffins and then roll in cinnamon-sugar. Just double the amount of butter and cinnamon-sugar so you’ll have enough. Recipe slightly adapted from Taste. I always have a variety of jams/jellies on hand because me dad makes his own, cans it, and then gives some to me. 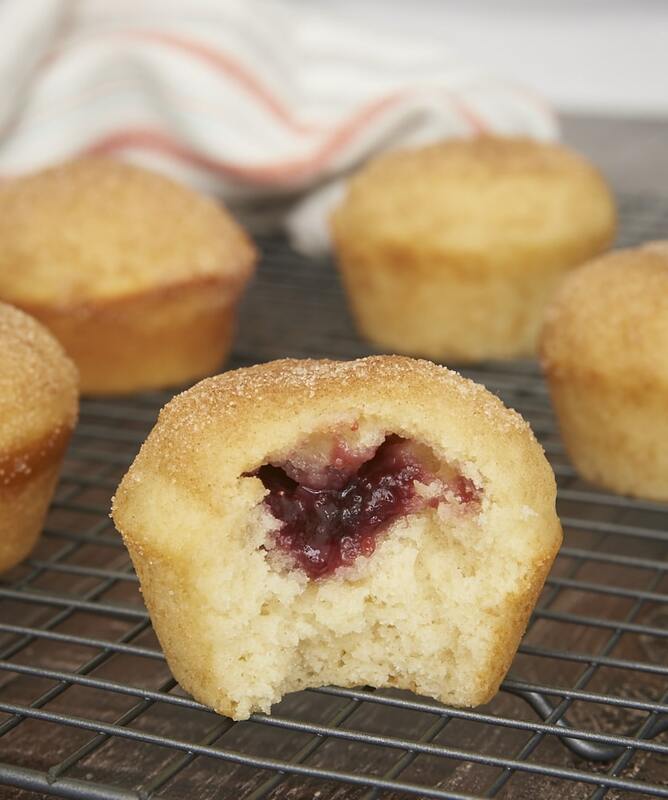 What a brilliant idea to make doughnut muffins stuffed with jelly, just like a stuffed fried doughnut! 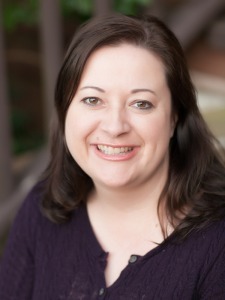 I make my own jams and fruit butters from my own and some bought local fruit. I can see a lot of fun with these and all the variations. Can’t wait to try these! Linda, that’s one of my favorite frostings, so I’m all for finding more ways to use it. Sounds good to me! I’m thinking some lemon curd would work too. More and more ideas! Stawberry jam would be my first choice of fillings for a breakfast muffin! Strawberry is usually the only flavor of jam we have in the house. 🙂 These cute little muffins are crying out for a cup of coffee….or maybe my cup of coffee is crying out for one of these muffins! We have a crazy awesome pastry shop across the street and it is insane how little I stop in there for a treat. I always feel like I DESERVE a treat just for resisting! I’ve made doughnut muffins before and they are incredibly delicious. Like, way tastier than you’d think they’d be. These are so so yummy. The batter is crazy thick before you bake, but do not despair. They come out light and scrumptious. These are too cute, and look so delicious! I think the jelly-filled ones are my fave! 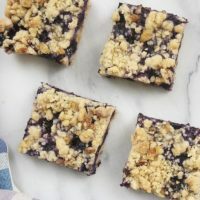 I had a recipe years ago for something similar and couldn’t find it. These are even better, especially with the donut spin! I replaced the vanilla with almond extract…my old recipe was almond and I love the almond and raspberry together. My whole family loves these. Thanks for reminding me of an old favorite! 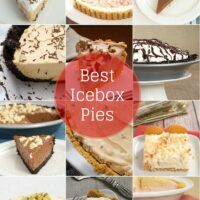 Thanks for sharing these, I have just made them and they were delicious. I always make my own jams from my own fruit…… and always have a surplus. Consequently I am always looking for recipes with jam in them. This one will be on the top of my list. Thanks again. I’m glad you liked them, Lincoln! If anyone remembers the donut shop BISMARKS, then you’re with me on these! I loved the jelly/jam/ maybe even preserve fruit filling with sugar on the outside. This recipe seems a lot healthier than eating BISMARKS and may even taste better. Saving the recipe for blueberry preserves inside!!! they were really awesome, I really enjoyed making them. The muffins in the picture look smaller than standard muffins. Are they mini? They’re made in a standard muffin pan. They just don’t bake quite as tall as a traditional muffin. Oven setting: 175 degrees celcius. 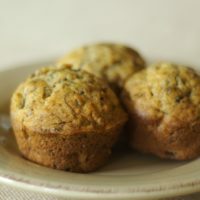 One of the tastiest muffin recipes I’ve ever tried, and I bake quite frequently. I used my homemade peach jam for the filling. My family and I say thank you ! I’m so glad you’ve enjoyed them, Mara! Delicious! Have just had to make a second batch- the first batch ‘disappeared’! Thank you for sharing! This looks like a great recipe. Has anyone ever tried using applesauce in place of the vegetable oil? I used to make muffins with this substitution in the past and they turned out fine. But I’m not sure it would work with this recipe because they are described as being tasting similar to a doughnut. Just asking. Hi, Norma. I’ve not tried that substitution, but I know that it is commonly done in all types of baked goods, so I think it’s worth a shot here. If you try it, please let me know how it works. I can’t wait to try these. Have you tried freezing them? Hi, Josephine. I haven’t, but I think they’d be fine. I’m glad the muffins were such a hit, Vicki! They’re a nice little departure from traditional muffins.